"The Crisis of Leadership in churches of Christ"
Questions can be submitted to moderator or asked from the floor. Ladies are requested to submit written questions only. 5602 Pres. George Bush Hwy. 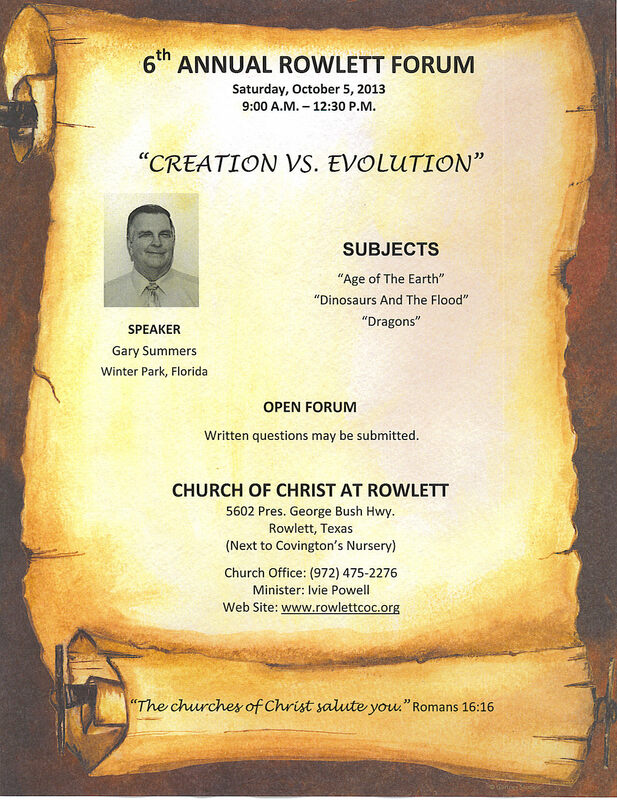 Sunday Bible Class 9:00 AM "Why We're Losing Our Young People"
Sunday 10:00 AM "Famous Scientists And Scientific Knowledge"
Sunday 5:00 PM "Cavemen And The Fossil Record"
Theme: "The Problem of Human Suffering"
"Does Human Suffering Prove God Does Not Exist?" "The Sufferer's Question: "Why Is This Happening To Me?"